Product prices and availability are accurate as of 2019-04-17 12:27:42 UTC and are subject to change. Any price and availability information displayed on http://www.amazon.com/ at the time of purchase will apply to the purchase of this product. Vermonters love all things local, so it is no surprise that the Green Mountain State has had a thriving craft beer scene for more than twenty years. Early Vermont brewers, though, faced many obstacles in bringing their beer to the thirsty masses, including a state-imposed prohibition beginning in 1852. Conditions remained unfavorable until Greg Noonan championed brewing legislation that opened the door for breweries and brewpubs in the 1980s. 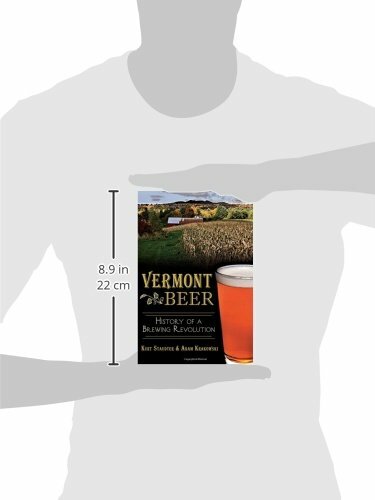 About the same time, beloved Catamount also began brewing, and Vermont's craft beer scene exploded. Years ahead of the rest of the country, local favorites like Hill Farmstead, Long Trail and Rock Art Brewing have provided world-class beers to grateful patrons. From small upstarts to well-recognized national brands like Magic Hat and Harpoon, Vermont boasts more breweries per capita than any other state in the country. 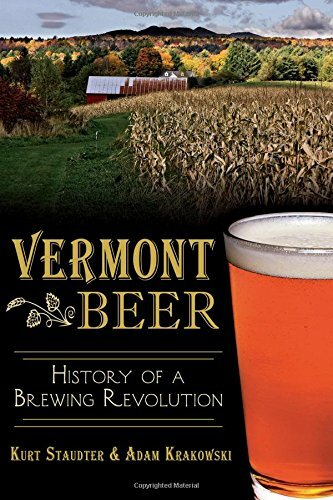 With brewer interviews and historic recipes included here, discover the sudsy story of beer in Vermont.